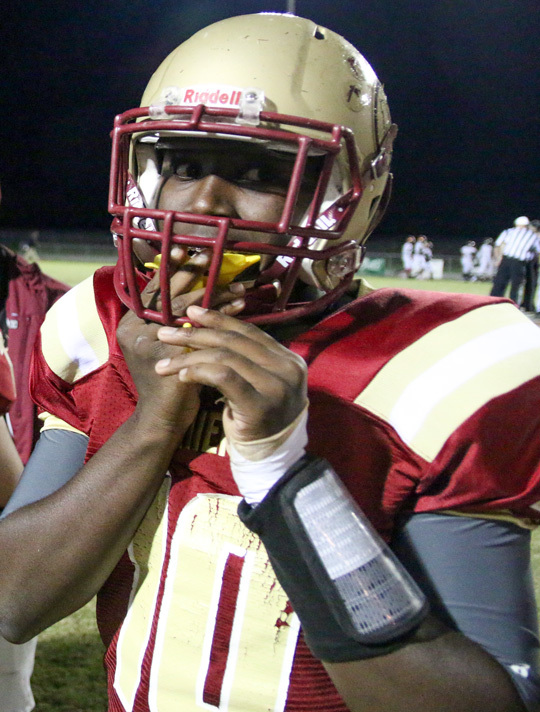 Funeral arrangement have been announced for Northview High School student and football player Dariontae Richardson. Visitation will be held Friday from 6-8 p.m. at Christian Memorial Funeral Home at 78 Harris Street in Atmore. Funeral services will be Saturday at 1 p.m. at Grace Fellowship at 1412 East Nashville Avenue in Atmore. At a School Advisory Council meeting Wednesday at Northview, Interim Principal Gerry Pippins expressed deep sympathy to his family and friends. He said Richardson was in a Birmingham for a medical procedure that was originally thought to be successful, and it was not immediately known what happened. 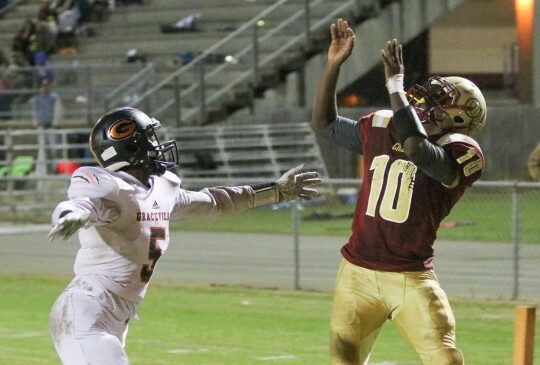 Richardson suffered a heart attack hours after the Chiefs’ Northview first round playoff win over Graceville November 9. The Chiefs’ #10 passed away on Monday. He made several key plays for Northview in their win against Graceville but was not injured in the game. The morning after the game, the 16-year old was found at home not breathing. His mother performed CPR until an ambulance arrived. He was transported to Atmore Community Hospital and airlifted to a Mobile hospital. 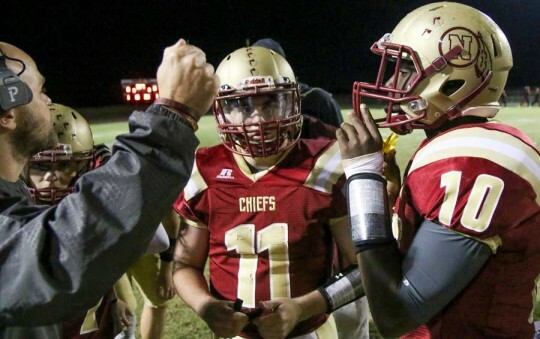 As the Chiefs advanced to route two of the playoffs against Baker, they dedicated the game to Richardson. Grief counseling was available Tuesday at the school for students and staff. 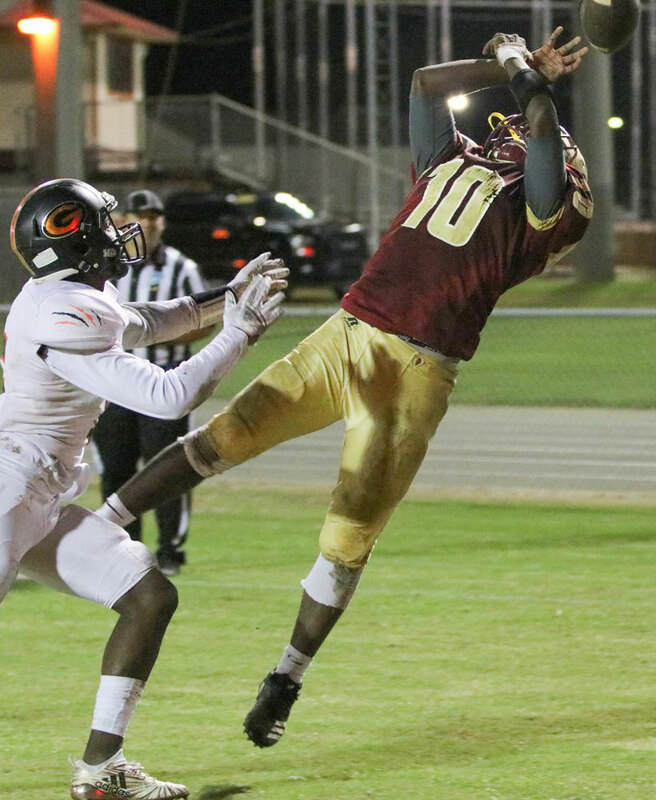 Pictured: Dariontae Richardson (#10) during the Northview Chiefs first round playoff win over Graceville November 9, 2018. He suffered a heart attack a few hours later. NorthEscambia.com photos, click to enlarge. So sorry to hear about this. I live within a mile of Tate High School and we were just kind of getting adjusted to loosing Shawn Banks Tate football player and his sister whose lives were lost in a accident. My prayers are with the family and the students of Northview High School. The good times and the sad. From high school days to golden years, The best friend I ever had. God is here to take you home. Now you and I must part. I love you, and forever You will live within my heart. I know you are in a better place. But I miss looking at your face. You were so young to die. Every night I sit and cry while i think about how I lost such a good friend. We all know now that he is in a better place, looking over us. Rest in peace my friend, Dariontae. I can’t imagine what life would be like without him. friday and Saturday are definitely is going to be hard for all of us. prayers toward his mom and family!!! So sorry to hear about this.His family..his friends..his team mates..His Parents…”His momma”, (Oh my heart breaks) praying for comfort somehow in this life without him.My thoughts and prayers are with you.